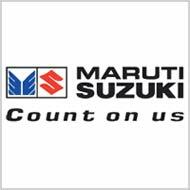 Maruti Suzuki India Ltd. has finished with the Board meeting. The Outcome of today's Board meeting is a mixture of some happy moments along with some negative news for the company. The positive news for the company and for the whole Automotive Industry is that the Board has approved the new manufacturing facility at Mehsana district of Gujarat where the company seeks 500 acres of land in Mehsana apart from 1400 acres already seeked in Sanand of Gujarat. The decision comes out to be good for the whole automotive industry as it will boost the economic situation of the country along with boosting the overall output of Indian Automotive Industry. The negative news that came out of the Board meeting were the Q2 results. The company saw 60% decline in its profit and 17.6% decline in its sale. The company Net Sales clocked 7,537 Crore as compared to Rs 9,147 Cr. during the same fiscal last year. The net profit of the company clocked Rs 240 Crore as compared to Rs 598 Crore during the same period last fiscal. The company sold 252,307 cars during Q2 FY11-12 as compared to 313,815 vehicles for Q2 FY10-11. Q2 FY 2011-12 Results Update - Rane Madras Ltd.
Q2 FY 2011-12 Results Update - Bharat Seats Ltd.